Sept. 16, 2008 — Researchers and environmental groups attacked the FDA for concluding that a widely used plastic ingredient is safe for humans, saying the agency ignored critical studies showing potential ill health effects. Craig Henry, chief operating officer for the Grocery Manufacturers Association, submitted testimony at the hearing that the FDA performed a thorough, well-documented review of the available toxicological information. He said the research used a sound analytical approach and that the FDA’s evaluation of the science on BPA was comprehensive. And Steven Hentges, PhD, a scientist with the American Plastics Council, called the FDA’s preliminary review “completely appropriate.” He also said the industry supports more research into alleged brain and other health effects of BPA. Some groups recommend people avoid boiling baby bottles to sterilize them because of concerns that the heat releases more BPA. 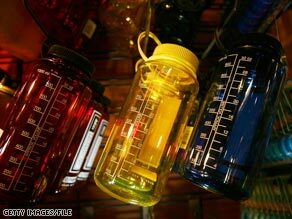 Many bottles are also marketed free of “polycarbonate” plastic, the kind containing BPA. Several companies have begun shifting away from its use. Several retailers, including Wal-Mart, Toys ‘R’ Us, and Babies ‘R’ Us have backed away from baby bottles containing bisphenol A. Some manufacturers, such as reusable water-bottle maker Nalgene and baby bottle maker Playtex, are ditching bisphenol A in their products.